There doesn’t have to be a reason to send your loved one a gorgeous floral arrangement. Flowers are some of nature’s most beautiful and colorful reminders and instantly put a smile on the face of the recipient. Whether you are sending flowers for a birthday, anniversary, holiday, or “just because” and want the convenience of shopping online, here’s how to ensure your selected blooms arrive fresh and on time. Research online flower shops local to your area, as many flower shops with online stores also have physical locations. 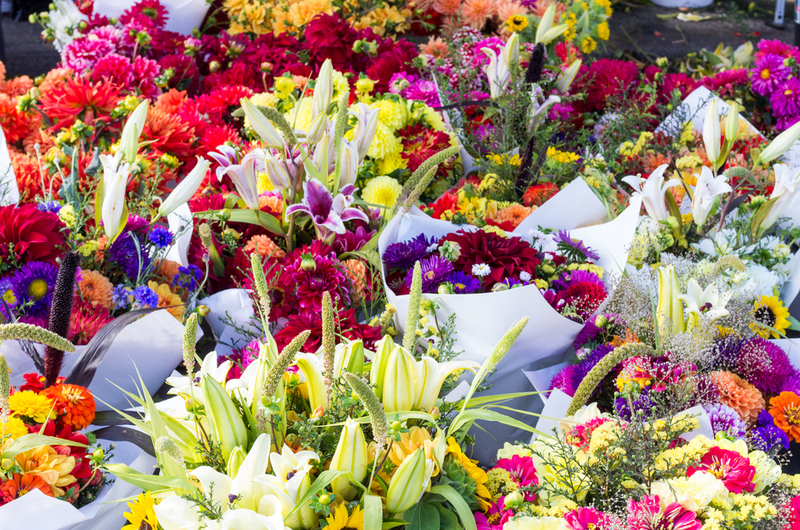 Buying from a local flower shop not only supports your community’s economy, but it also means the blooms will not travel far to reach their destination. If you are sending a floral arrangement to someone who lives far away, find a shop local to the person’s neighborhood. Purchase flowers in season to further secure their freshness. If you wish to send flowers this spring, for example, look for arrangements featuring tulips, daffodils, crocuses, and hyacinths. If you would rather send an arrangement later this year, look for summer blooms such as asters, marigolds, black-eyed Susans, coneflowers, and daisies. Read reviews and testimonials before choosing an online flower shop so you know what kind of customer service you can expect. Do the florists work closely with their clients to create unique, highly specific arrangements? Do flowers arrive on time and in perfect condition? Are team members friendly, professional, and accommodating? What about experience — has the flower shop been in business for decades? Inquire about delivery services, such as whether same-day deliveries are available. Also learn if the flower shop offers deliveries at specific times of day for your convenience and the recipient's delight, such as an arrangement arriving at the person’s work immediately after lunch. Read the flower shop’s return and substitution policy. Most flower shops sell non-perishable gifts as well as flowers and will accept the former items for return. Some may also provide arrangement substitutions of equal or greater value depending on what is in season. Substitutions for special occasions may also be available. If you are sending flowers to a loved one in the New Haven County, CT area, find exactly what you need at Forget Me Not Flower Shop. Conveniently located in North Haven and featuring an online shop with a wide array of blooms for every occasion, this family-owned business has served the region since 1977 and completes more than 2,000 wedding floral arrangements a year. Same-day deliveries at specific times are also offered. Call (203) 248-7589 today with questions or review the inventory online. Read the latest reviews on Yelp.